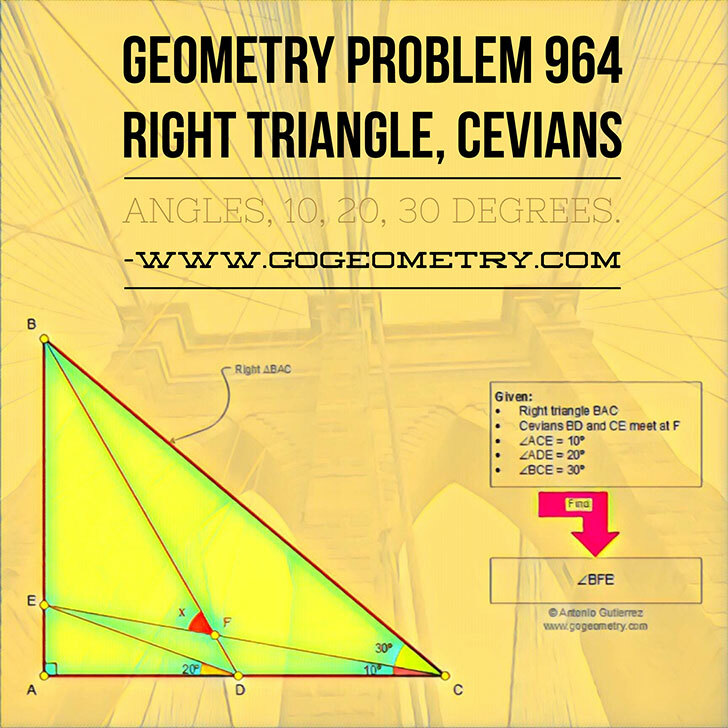 Geometry Problem 964: Right Triangle, Cevians, Angles, 10, 20, 30 Degrees, mobile apps. Math teacher Master Degree. School, College, SAT Prep. Elearning, Online math tutor, LMS. In a right triangle BAC (see figure) cevians BD and CE meet at F so that the measure of angles ACE, ADE, and BCE are 10, 20, and 30 degrees, respectively. Find the measure of angle BFE. Try to you use elementary geometry (Euclid's Elements). Geometric variations of problem 964.